We weren’t expecting a romantic comedy reunion of this magnitude to happen so casually on an unassuming Thursday, but we’ll take it. Entertainment Weekly managed to reunite the cast of My Best Friend’s Wedding to talk about the film and their favorite moments from filming. 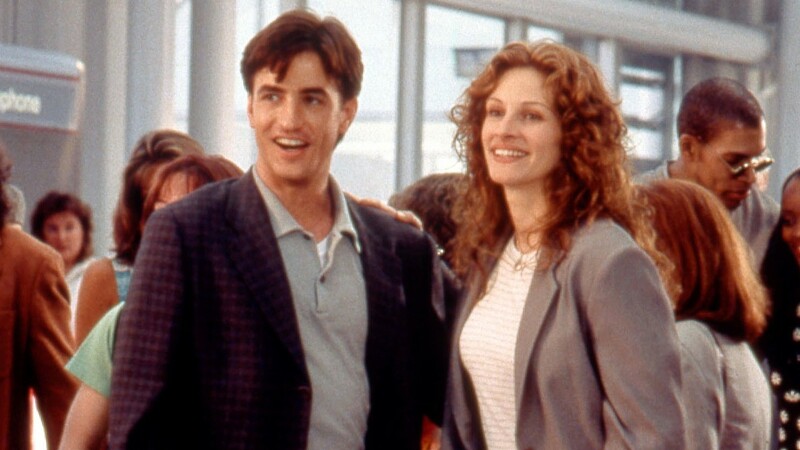 The interview, which included actors Julia Roberts, Dermot Mulroney, Cameron Diaz and Rupert Everett, is truly a treasure trove of delightful anecdotes, and any fan of My Best Friend’s Wedding is going to want to read up ASAP. The interview, conducted as part of Entertainment Weekly’s special issue covering rom-coms, kicked off with stellar commentary from Roberts and Mulroney about why they were drawn to My Best Friend’s Wedding and what made them want to sign on. “I just thought it was really clever and just funny. All the physical comedy I loved. Lots of falling down and falling through things, falling all over myself, falling over Dermot. The scene, for me, that made it feel so authentic and earnest is when I finally tell Dermot’s character, ‘Pick me. Let me make you happy.’ Just that line: That’s just so succinct and sweet and meaningful,” Roberts explained. Diaz joked she was a bit more hesitant, commenting, “I mean, I was considering turning it down. No, I’m kidding. I got to work with these folks and Julia. It was, like, a huge break for me.” Can you honestly imagine what My Best Friend’s Wedding would have been without Diaz? No, we can’t either. One moment all four actors were happy to reflect on was the epic “I Say a Little Prayer” sing-along that happens in the film and which has gone on to be an iconic rom-com moment in its own right. But that’s just a taste of the joy that reading an interview with the core cast of My Best Friend’s Wedding brings; you’ll have to head over to EW to read more. If you’re like us (read: die-hard and everlasting fans of the 1997 film) then you’ll probably finish reading the interview and feel tempted to watch the actual movie, which we fully approve of doing.